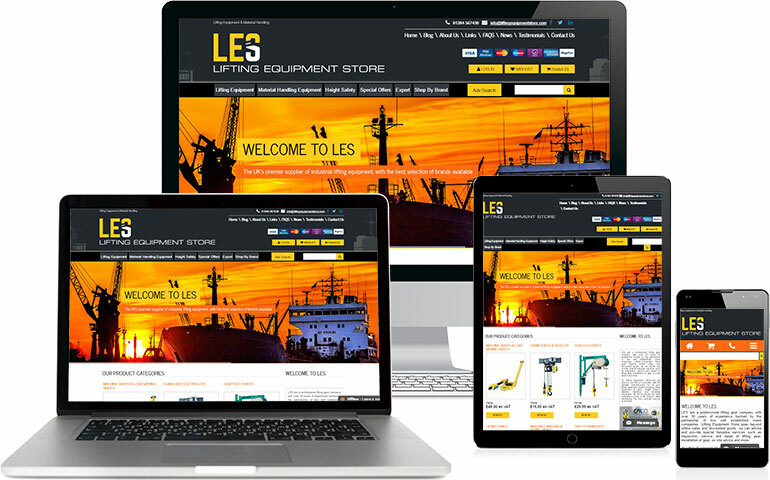 A specialist retailer of cranes and industrial lifting equipment, this small group of businesses approached Freetimers in 2013, initially to assist them with Google issues with one of their other websites. After successfully resolving those issues and designing, branding and launching another website, their long-standing ecommerce arm at Liftingequipmentstore.com (LES) which had an old, non-responsive and not SEO-friendly website and system, was well overdue for a major overhaul. Having already had Freetimers develop, brand and SEO another website for them with great success, the client asked us to update the LES website, with a modern, fully responsive design, including a comprehensive re-development of the management and CMS using our multi-site, multi-channel admin system, along with completely new branding and logo. The intention was to greatly improve the standing of their brand and to present it as one of the most credible players in its sector. We started by focusing on the brand, understanding their target customers, their needs and expectations, and the sector generally, looking at competitors and their websites and branding. This resulted in a more clear brand definition and the production of several high quality logos and corporate colour palettes, which were quickly accepted. We then progressed to developing the new responsive website, along with designs for business cards, stationary and email signatures. Website concepts were designed, starting with the homepage, but then with additional concepts to cover the other important pages on the site, including their responsive treatment on desktop, mobile and tablet platforms. These were accepted and the website built. The new admin system was developed and integrated with the site, and then we assisted with the transfer of products and content from the old system. 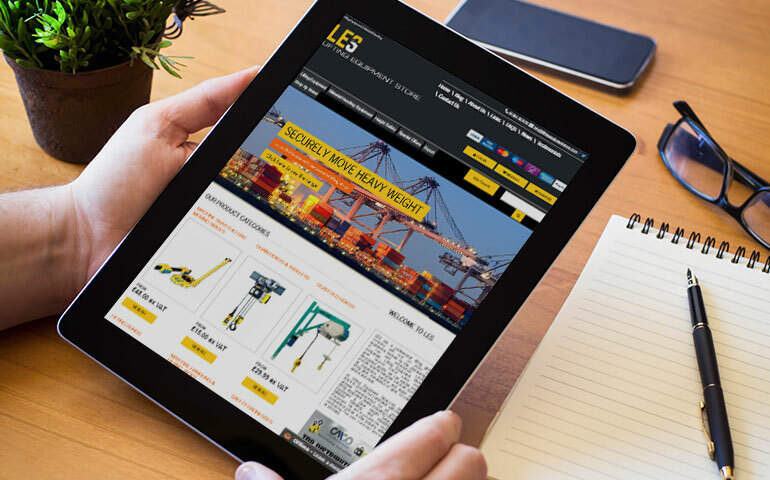 The new website and branding for LES was launched in January 2016, and the results have been nothing short of transformational for the client. First of all, the new branding was an immediate with both our client and their customers. The new website also was immediately successful, generating sales increases as well as enabling order processing for all three of the client's businesses simultaneously. The SEO capabilities of our system also resulted in immediate improvements in Google rankings, with top 5 and top 10 rankings doubling in number within a month and No.1 rankings trebbling within 6 months. New developments are now in progress with extensions being made to order processing, invoicing, debtors, payments and purchase orders. Further development phases are now intended to integrate with their accounts system as well as Ebay, so they will be able to manage their Ebay operations using a single integrated system and database, which will save significant management time each month.